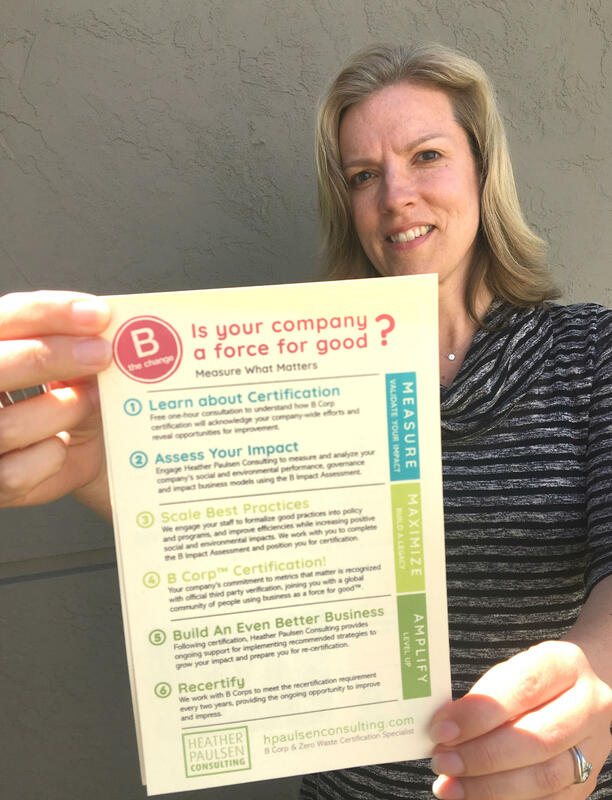 Mendocino County-based consultant Heather Paulsen works with North Bay companies seeking B Corp certification. In an era of expanding corporate hegemony, a growing number of smaller businesses are seeking to boost their image—and revenues—through good behavior, as “benefit corporations.” Bruce Robinson reports on the standards that have been developed to encourage and measure those efforts. Benefit corporations offer an alternative to the conventional corporate model, which, Heather Paulsen observes, is virtually compelled to consider little but its own interests. Far from being a fixed set of standards, B Labs' assessment tools are regularly updated, explains the non-profit's Callie Rojewski. 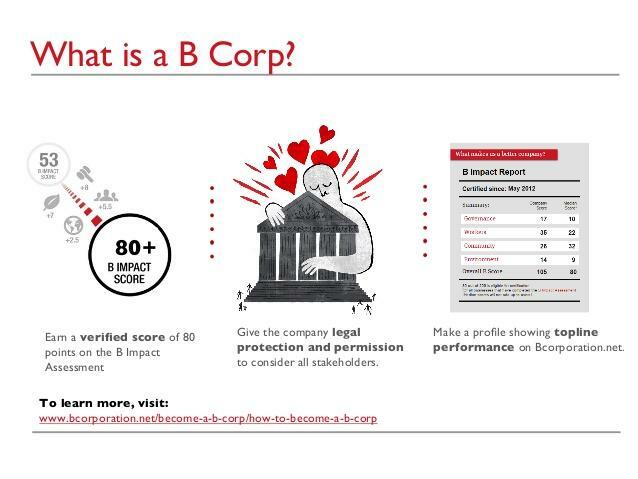 SSU business professor Robert Girling notes that the B Labs assessment process, which companies work through to obtain certification, is also available to any business that just want's to get a sense of how they measure up. You can preview the B Labs assessment here (sign in required).